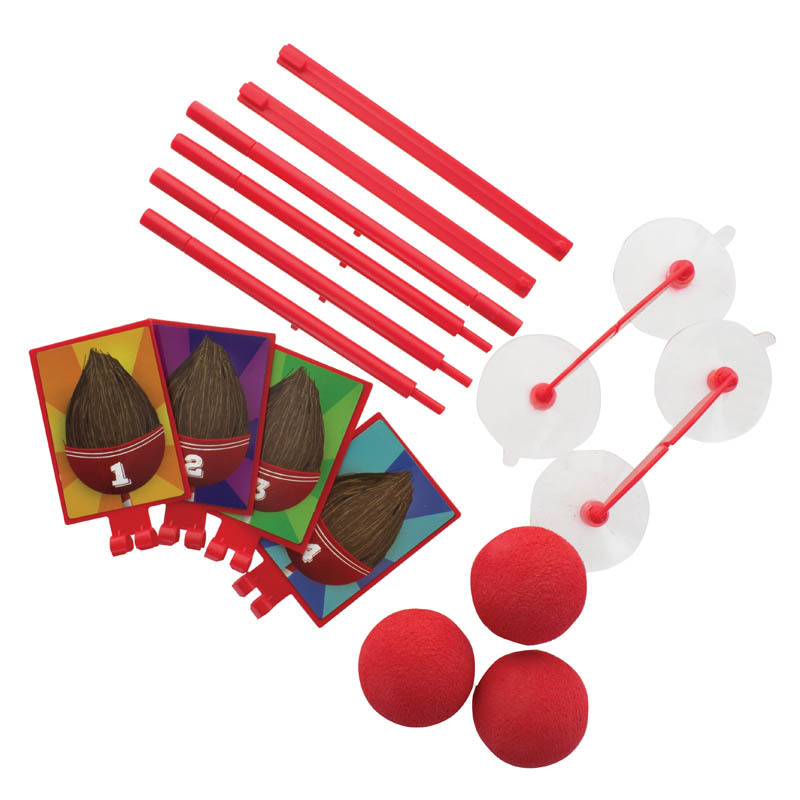 Head back to the fairground with this fun-filled Aqua Coconut Shy water game. Perfect entertainment to keep the suds flowing at bathtime. Head back to the fairground with this fun filled Aqua Coconut Shy bath game. A great way to keep the enjoyment flowing at bathtime, this is a fun and challenging game to stay happy and entertained in the tub. 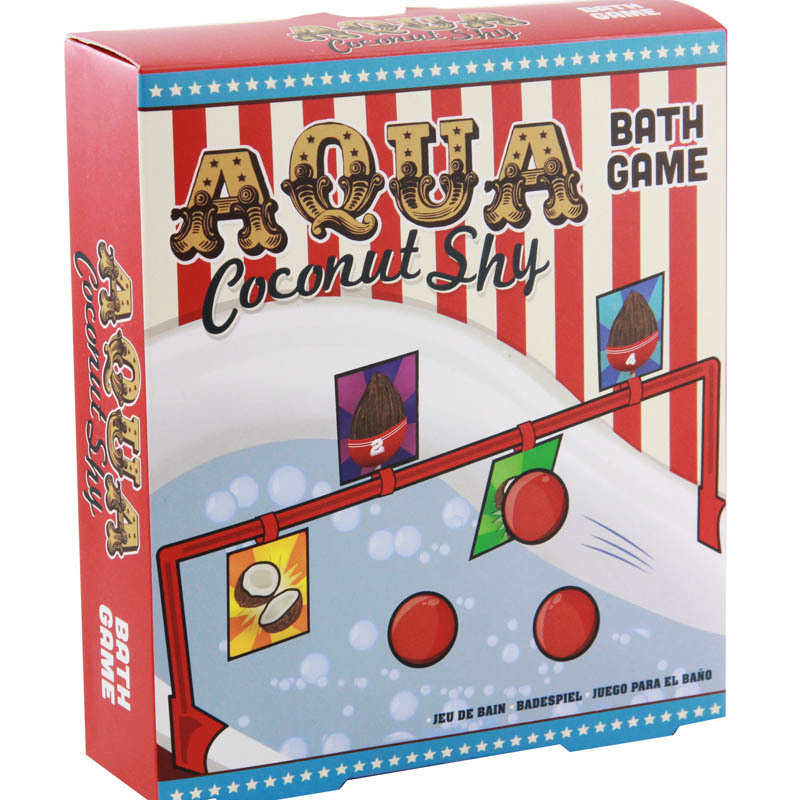 Aqua Cocount Shy is a bath game based on the classic fairground coconut shies, where competitors aim to knock coconuts off their stands with well aimed shots. In this aqua version, aim carefully at the targets to try and split the coconuts to win. Featuring a bath frame that fits across most standard sized baths, four coconut picture targets, and three foam balls, this is a great gift with easy to follow assembly instructions included on the packaging. 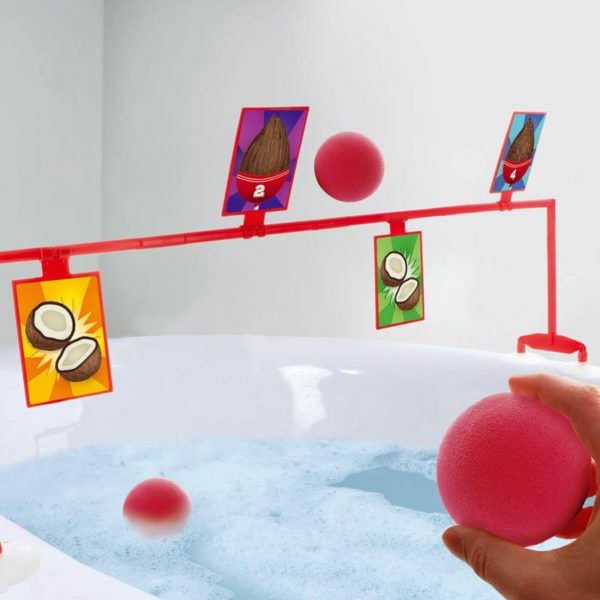 Once the frame is set up across the bath, simply take aim with the foam balls and try to hit the coconut picture targets. If you aim well and hit your mark, the coconut picture target will spin round revealing a broken coconut. Bathtime Fun is a gift range from Paladone. Creating designed and delivered gifts and accessories for fun and practical use in the bathroom, they ensure time spent soaking up the suds is more enjoyable than ever. Part of the Bathtime Fun range by Paladone. 9L capacity collapsible car bin with Velcro straps for fixing and carry handles.